Carte de Visite of a young man identified on the reverse as, I think, Henry Morgan. Added later: "Gr. Grany's Sis husband". 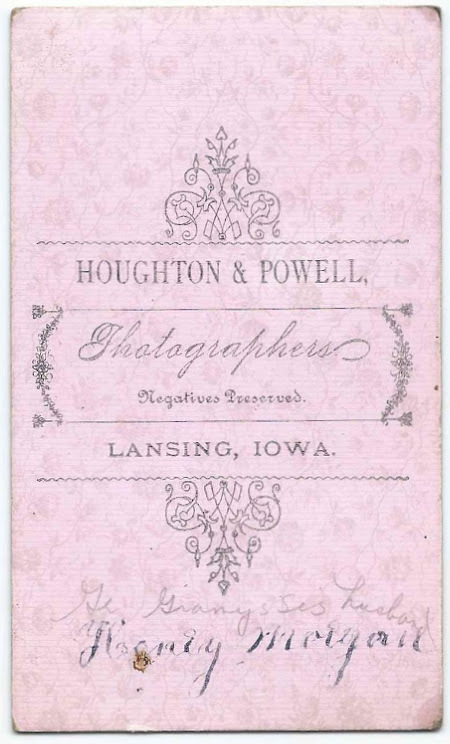 The CDV was produced by the studio of Houghton & Powell of Lansing, Iowa. 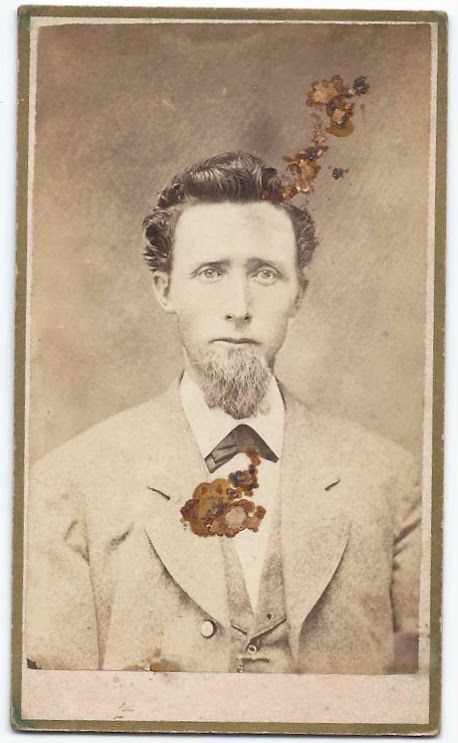 If you recognize this fellow from your family albums or research, please leave a comment or contact me directly. Thanks for stopping by!